'Improv comedy was just something I loved; I never thought it would end up being a career"
IN THE 1980s and 1990s, Whose Line Is It Anyway? was the cream of Channel 4’s comedy output. It was unmissable, and spawned a host of spin-offs including the hugely successful US series of the same name. If you have ever watched the show you will understand that when it goes right it is the funniest thing ever. When it goes wrong, it’s even better. This year the Vodafone Comedy Carnival Galway has pulled out all the stops to recapture that magic. They have flown in two of the original cast to perform for the first time together in Galway. 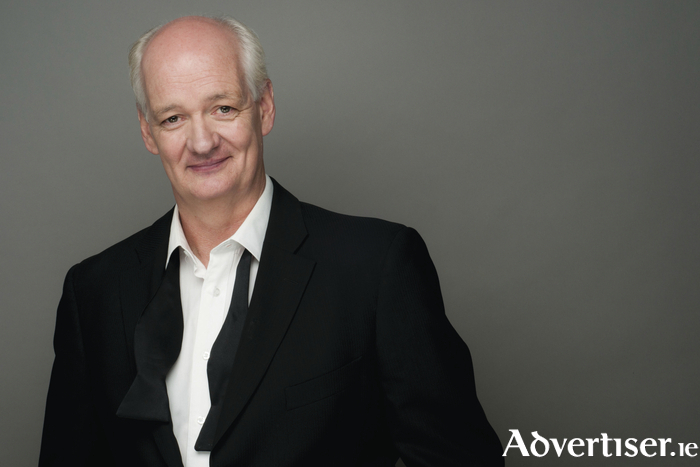 Colin Mochrie and Brad Sherwood are improv royalty. Colin spent seven years on the UK version of Whose Line Is It Anyway? before appearing on all episodes of the US version. Brad Sherwood, one of improv’s all-time masters, spent three seasons on the UK Whose Line… and all seven series of the US version. For their Galway shows they will be joined by Today FM and Dublin Comedy Improv regular Dermot Whelan. They will join The Stephen Frost Improv Allstars - featuring Ian Coppinger Steve Steen, and Andy Smart - on Friday October 28 (6.30pm ), Saturday 29 (3.30pm ), and Sunday 30 (3.30pm ), in The Spiegeltent, Eyre Square. The beauty of it is that Mochrie and Sherwood do not know Stephen’s Allstars. Whatever repertoire of tricks and escape plans the others have will not work here - there will be no failsafe formula. Improv is a high wire act at the best of times, but Colin, Brad, and Dermot are going to be on the same high wire, juggling flaming torches on a unicycle. The whole thing is a three ring mental circus with Stephen Frost as ringmaster extraordinaire. Fuelled by audience suggestions, this is comedy living by its wits. Expect a spontaneous, never to be seen again, show. Mochrie and Sherwood will also host their own show, An Evening with Colin Mochrie & Brad Sherwood, in An Taibhdhearc, Sunday October 30, at 7.45pm. Colin Mochrie was born in Kilmarnock in Scotland. When he was seven his family relocated to Canada and it was there that his interest in comedy began. “As far as I remember the move was a fairly easy transition,” he tells me over a transatlantic phonecall. “My parents had friends in Montreal where we moved to so there was a support system there and their kids helped me get acclimatised. I quickly lost my Scottish accent and within a month I was a rough and ready Canadian! After leaving high school, Mochrie enrolled in Vancouver’s Studio 58 Theatre School and discovered the joys of improv; “I saw this demonstration of it,” he recalls. “This thing called Theatresports was being developed in Calgary by an Englishman named Keith Johnstone which was improv in a competitive setting; there were two teams and a referee who would issue challenges and judges who would judge it. It was landing a regular slot on Whose Line Is It Anyway? in 1991 that gave his budding comedy career real traction, and also saw the beginning of his partnership with stage and screen partnership with Brad Sherwood. Mochrie has doubtless fielded countless weird and wacky audience suggestions in his time and I ask him are there any particular ones that stand out? While he was becoming a celebrated comic performer in the UK with Whose Line…, back in Canada Mochrie was, for a long time, known as ‘the commercial king’ due to the many ads he featured in. “Often they are absolutely just for the money,” he admits. “There was one campaign for a biscuit company and I was ‘The Snack Fairy’. Basically, it was me dressed normally except for a tutu and a wand. I was thinking, ‘I don’t know if I can do this’, then my wife reminded me we needed to do some renovations to the house so it was a case of, ‘then I guess I’m doing it’. I wish I had a stronger moral fibre and said ‘no, no’ but it did pay well and it gets you through those times when you’re doing your artistic things. Get working on those audience suggestions people! Page generated in 0.0885 seconds.